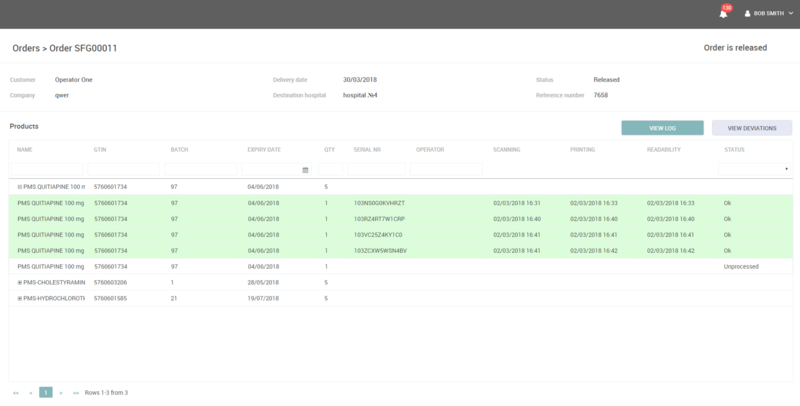 A web-based pharmacy management system that allows the staff of a pharmaceutical company to serialize each product item in an already packaged order. 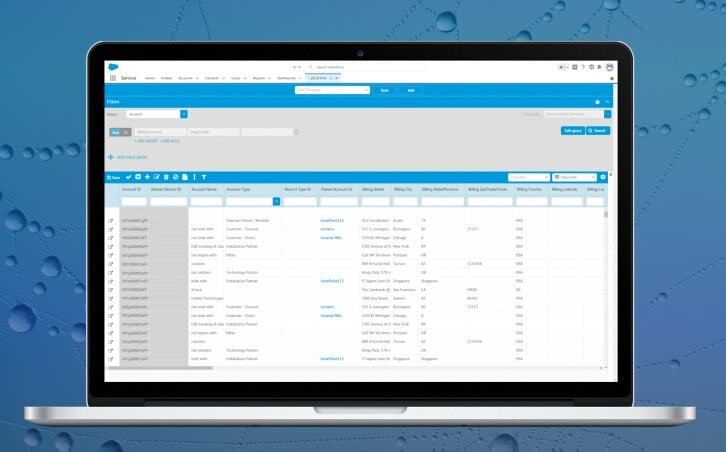 This order management software system enables generating serial numbers, scanning the product item barcodes, and print the labels. According to the latest pharmacy related legislation, there’s the requirement to mark personalized medicines with a serial number. In most cases, this task is performed during the product packaging. Our goal was to simplify the pharmacy management process while creating and applying serial numbers for products that are already packaged. 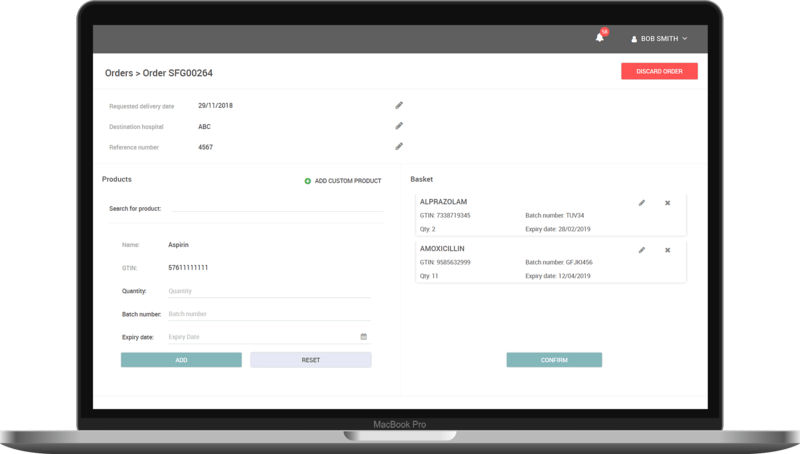 Our developers were asked to create an order management software system with authentication and authorization for users with different access rights. The pharmacy order management system should allow generating serial numbers, scanning product item barcodes, and printing the labels. Being aware that our company provides Node.js development services, the customer asked to develop the back end part of the app as well. Also, the OMS software should provide the ability to use peripheral devices. Our company has substantial expertise in providing custom software development services which allow us to create high-quality pharmacy management systems for different companies. The web-based order management system transfers all received orders to an operator to be processed. This pharmacy oriented software allows users to receive notifications. In case an order is declined for some reasons, a customer will receive a message that describes why the order was rejected and offers to create a new one. 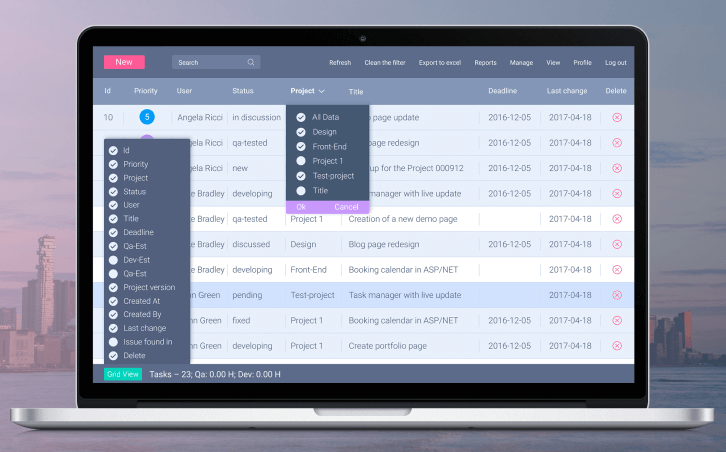 The backend of this tool was developed using Node.js. It allowed us to balance the load across the servers and make everything operate flawlessly. This pharmacy management software provides an operator with access to all orders and can choose which one to process. If there are no other orders assigned to this particular operator the management system will allow proceeding to process the order. In such case, the pharmacy operator can start scanning the products from the order list one by one. 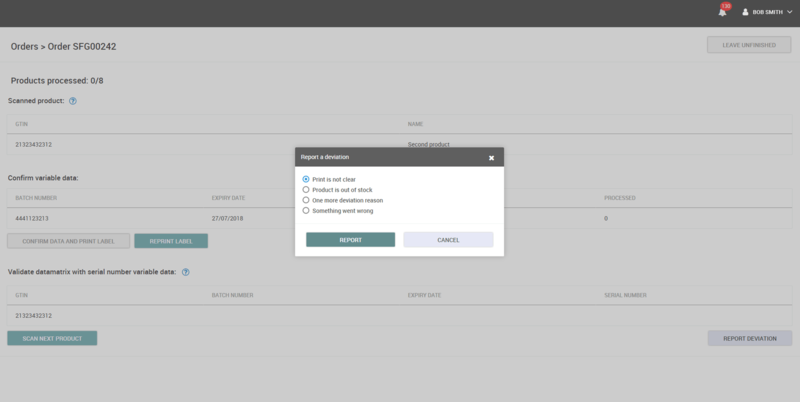 Built-in reporting module allows operators to create reports in case of troubles with the order. The management system provides some pre-defined reporting templates and the possibility to write a report manually. We have joined the customer’s team to develop the front-end part of their pharmacy package management system. We followed the Scrum methodology during the software development process. Mark orders according to the status: New, Unfinished, Done, etc. A global contract packaging organization from the Netherlands intended to make the pharmaceutical supply chain safer and more reliable for customers and patients.